For the longest time I have been in love with the distinctive benches, tables and chairs of mid-century designer and furniture maker George Nakashima. I adhere to his philosophy of "no style", which I take to mean let the object be itself, showcase the raw source and use its imperfections to make a more beautiful piece of furniture. Not rough-hewn but lovingly finished, natural splits in the wood are tied with his signature butterfly ties and the unique form of burl wood is celebrated for its dynamic shape. 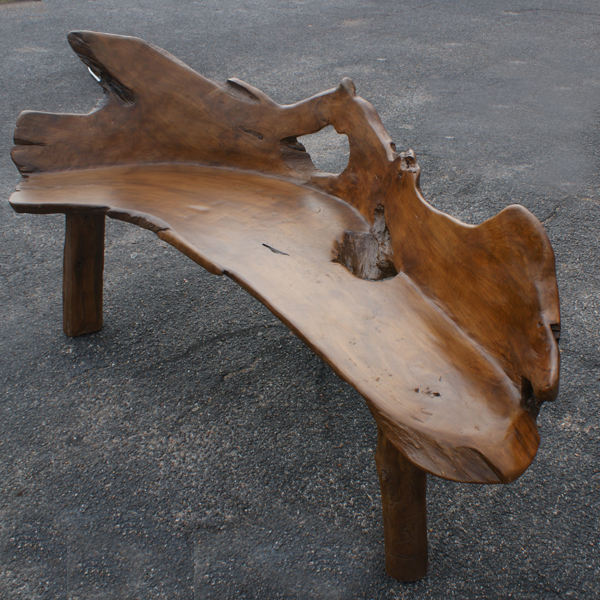 Other woodworkers have been inspired by his aesthetics and style to produce custom handcrafted furniture. This 6' bench was recently for sale on ebay. in designer Shamir Shah's living room (featured in Interior Design), and even in tile designer Sarah Baldwin's bathroom. 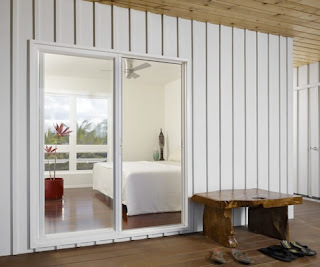 The beauty and radiance of genuine Nakashima furniture is outstanding. To wonder at the range and craftsmanship of this unique designer visit the online gallery of vintage pieces at Moderne Gallery or the slideshow of the George Nakashima and Knoll: The Making of an Object exhibit that runs until June 6 at The Design Center at Philadelphia University. The Nakashima legacy continues under the guidance of his daughter Mira and a team of dedicated woodworkers at New Hope Pennsylvania. 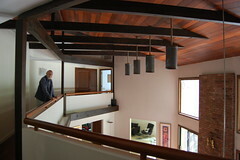 Tours of the showroom and property are given throughout the year, contact George Nakashima Woodworker for details. Whoa! Those are some absolutely gorgeous pieces! ohhh these are gorgeous!! I've really been loving that kind of natural wood look! I love the picture of the table in a modern living room! The lighting, wall color, and furniture are set up perfectly. Beautiful pieces of art! Love the one that looks like a leaf! Have a great day!! The craftmanship is just beautiful!